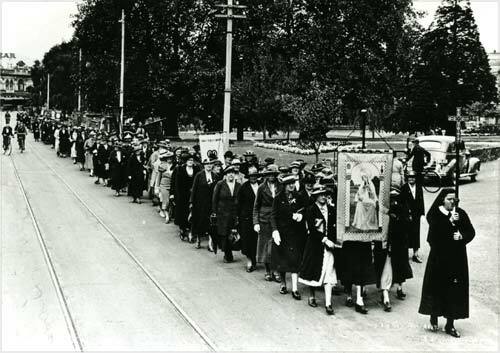 Branches of the Anglican Mothers' Union parade through Christchurch holding their banners in the 1930s. This procession, which may have been part of an annual diocesan festival, was a public statement of members' strong views about the moral role of mothers. Their belief that mothers had a vital responsibility to uphold the sanctity of marriage and to train children for a Christian life was consistent with wider public attitudes at the time.